Google recently unveiled the latest version of Android, Android P, and it brought a bunch of awesome features with it. I watched the whole 3-hour keynote and a lot of things caught my attention, like Google Duplex, Using machine learning with Maps, etc. But these things aren’t going to be available with Android P. These are the things that Google is testing and will surely make their way to our phones eventually. 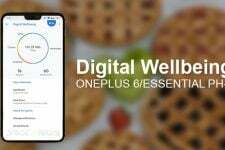 What actually peaks my interest right now is the Google Digital Wellbeing initiative i.e. put your phone down and enjoy the real world. One thing that will surely help you in doing that is the Wind Down mode. 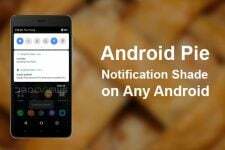 Here is how you can easily get Android P like Wind Down Mode on your Android device. When the Wind Down mode is enabled, the colors from your phone screen turn to grey. Studies show that you are highly likely to put your phone down if there are no colors on the screen. After all, apps are no fun without colors. 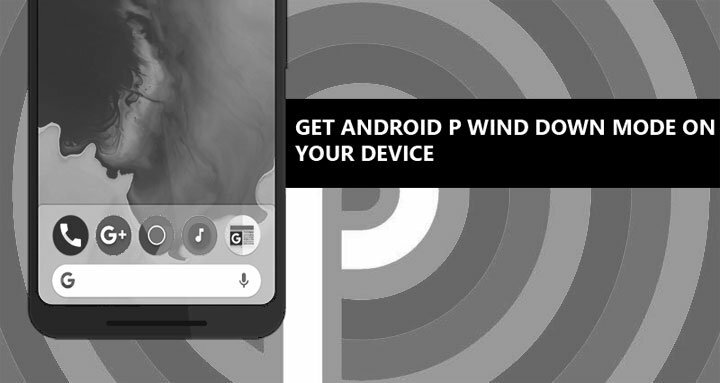 So, if Wind Down is an Android P exclusive feature, how can you get it on your device? Well, there is a method but it’s not the exactly the same. 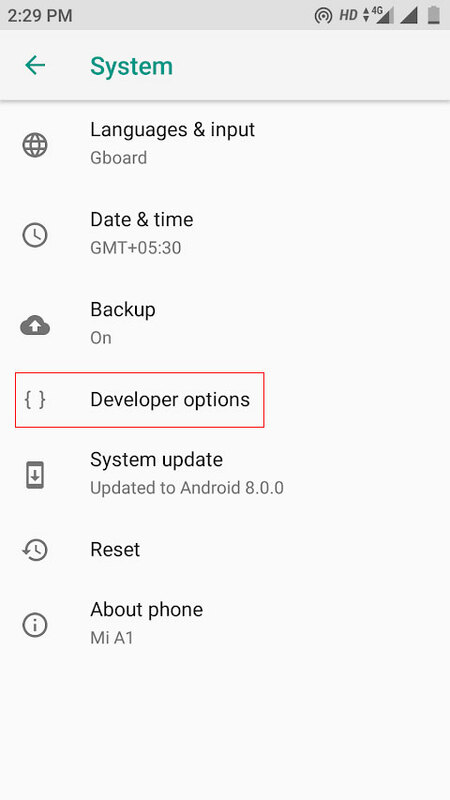 In Android P, you can just ask the Google assistant to turn on the wind-down mode at a certain time and it will turn your screen to greyscale at said time. 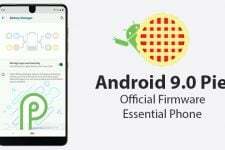 On phones that are not running Android P, you have to do it manually. Head to About Phone in the Settings app, then scroll down and tap the Build number seven times. If done correctly, you will see a message that says “You are a developer now!“. 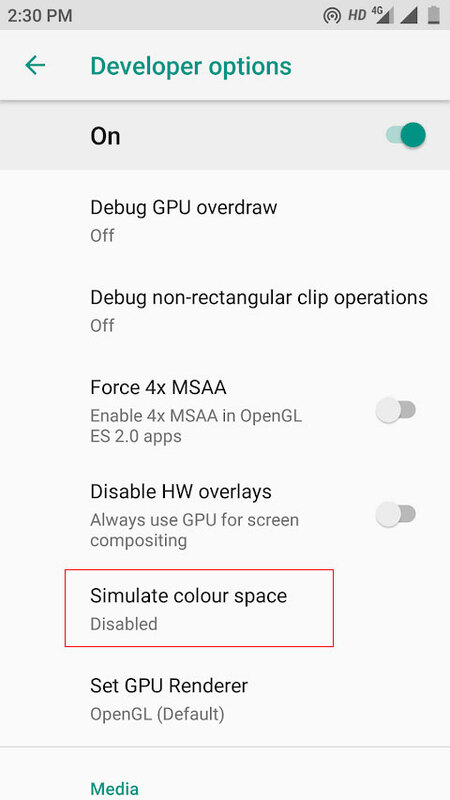 Now, go to the Developer options and scroll down to Hardware accelerated rendering section and tap on Simulate color space option. From the popup menu, select Monochromacy and your screen will immediately enter greyscale mode. 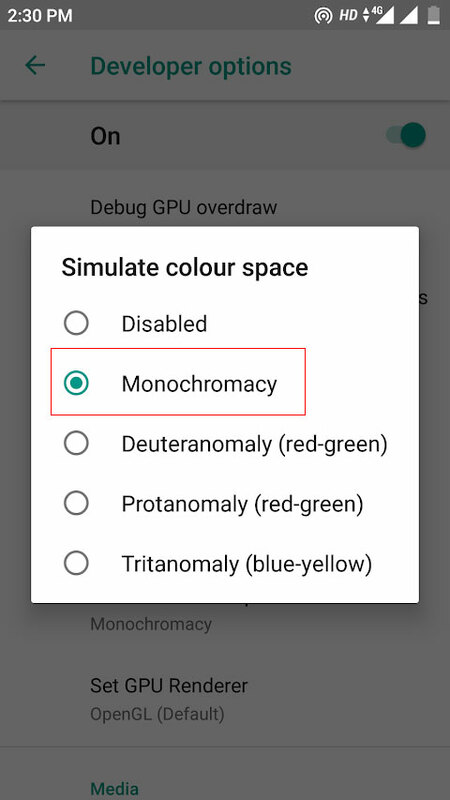 When you are ready to turn it off, just follow the above-mentioned steps again and select Disabled instead of Monochromacy on the popup menu. Turning on Monochromacy may affect your battery life a little, I’m not sure about it as I haven’t faced any significant battery issues. But, hey, it’s worth it if you keep checking your smartphone every minute and feel like it has taken over your life.